My wife and I will be going to a formal Tartan Ball in a few weeks, so I purchased (from Donnie), or had made a Sporran that I really liked. It is beaver with copper and I would like to post the results. Now this is not for everybody, but this something a little different, and I really like it. Here are the photos. I do NOT intend to wear the Tweed Jacket in the photo, I will wear the proper jacket for being black tie. Last edited by CollinMacD; 21st October 18 at 03:25 PM. 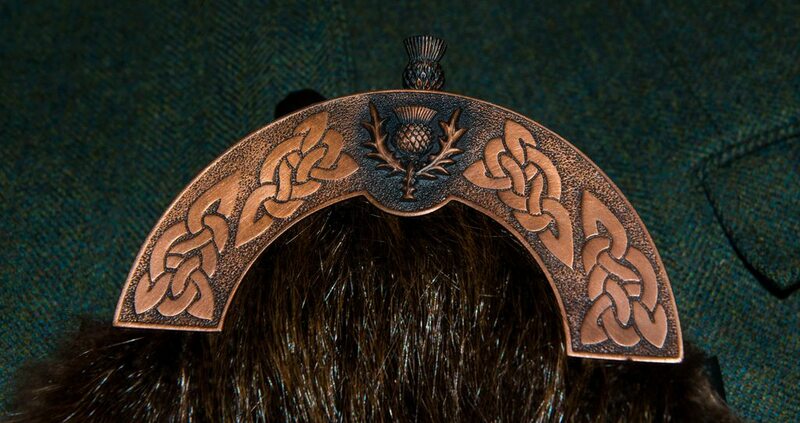 Fantastic color blend of metal and fur Collin. If that is the tartan you are going to wear it with (in the photo) a great choice indeed. 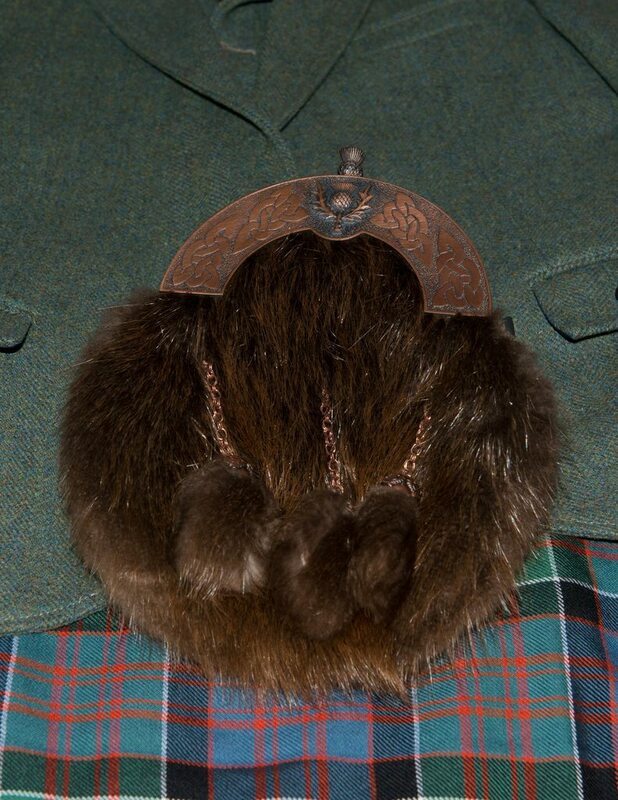 Yes, I plan to wear it with the MacDonald Clanranald Ancient, and wearing brown Ghillies, with deep green hose. Will be wearing it this weekend at the Richmond, VA Games. Looks like showers, both days, but that's OK, I have a raincoat, maybe will wear different shoes though, but still brown. Will post photos. Donnie does such great work, highly recommended. Looks great. I bet that will be great with your formal jacket. And, despite being a formal sporran, it also looks good with the tweed if you ask me! That is flipping awesome. WOW! Great combination and it's a great look.